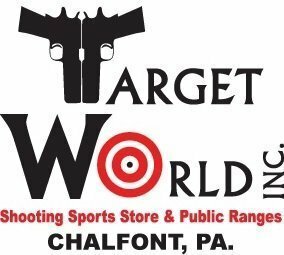 Meet Our Firearms Instructors – Target World Inc.
My goal as an instructor is to create a safe and positive experience for all shooters that I work with. I have a passion for teaching new shooters what they need to know to reach their full potential. Having worked side by side with FBI, Law Enforcement and Military personal training in the areas of personal protection and tactics I have a broad background of experience to help guide you in pistol, rifle or shotgun instruction. John is an NRA and Pa. State Police Certified Police Firearms Instructor. John is an avid shooter and recently retired from a local police department after 36 years of service. 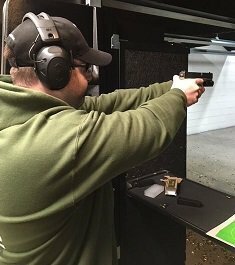 John is a Glock Armorer and is certified by the Commonwealth of Pennsylvania to teach the Retired Law Enforcement Identification Act qualification course (H.R. 218). My goal as an instructor is to introduce new and beginning shooters to the shooting sports in an environment that will have them enjoy their experience while learning critical safety and entry level skills. 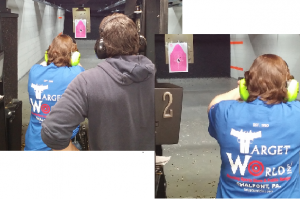 I teach a safety first method that focuses on the fundamentals of shooting and owning a handgun. After teaching my 3 daughters how to shoot and conceal carry, and working for Target World as a Range Safety Officer for two years, I observed the need for instruction focused on brand new shooters, and newer shooters to the sport that want to hone their skills. My goal as an instructor is to collaborate with new shooters in order to customize training to meet their particular needs. I strive to create a training environment which is both relaxed and enjoyable. Doctor of Psychology, practiced for 10 yrs. Dissertation entitled, “The Psychology, Prevention, and Escape of Sexual Assault”. Bradford A. Richman is Senior Counsel at the McNelly Goldstein law firm in Hatfield, Pennsylvania. He recently retired from public service following a career in law enforcement which began in 1978. Over his career, Mr. Richman served as an Assistant District Attorney and Deputy City Solicitor in Philadelphia, and as Special Assistant to the Police Commissioner of Philadelphia. While with the Philadelphia Police Department, Mr. Richman developed and implemented an aggressive protocol for addressing gun licensing issues in Philadelphia. Most recently, he served as an Assistant District Attorney in Montgomery County, Pennsylvania, where he established and headed the Elder Abuse Unit, and then established and headed the DUI Prosecutions Unit. For the last fifteen years, Mr. Richman has served as a legal consultant to the Philadelphia Police Department on matters pertaining to Firearms Licensing. Jonathan Goldstein brings nearly 20 years of experience as an entrepreneur and business owner to his law practice. Mr. Goldstein’s practice focuses on firearms law and election law as well as entrepreneurial business advising. Mr. Goldstein is an NRA certified pistol instructor and is a volunteer attorney for several firearms organizations including the National Rifle Association. He actively lectures on firearms law and firearms safety across Pennsylvania and is a frequent presenter for continuing legal education providers such as CAPE, and the Pennsylvania Bar Institute. in May 2011, Mr. Goldstein was awarded the Defender of Justice Award by the National Rifle Association’s Institute of Legislative Action for his “tireless service to the Constitution and with particular emphasis on the protection and furtherance of the Second Amendment.” As of September, 2015 Mr. Goldstein also sits as a non-director member of the National Rifle Association board’s Outreach Committee.